How do energy drinks affect your health? Athletes and office workers alike credit energy drinks for keeping fatigue at bay. With a fast-paced work environment or hectic home schedule, these drinks put gas in the tank when you’re running on E. But every now and then, you hear news stories of energy drink-induced heart palpitations and irregularities, visits to the ER and hospital admissions, making you question whether they are even safe. So let’s be proactive and learn more about how energy drinks affect your health. Some research has shown modest improvements in sports performance, while others showed no benefits. The main reason people turn to these beverages is for energy. Guarana. Guarana is a South American plant that may help improve alertness, mood and memory. However, guarana’s seeds may contain up to four times the amount of caffeine as coffee beans. Sugars, fructose, high fructose corn syrup. The sugar in these beverages give “quick energy” because they can be quickly metabolized. Taurine. Taurine is an amino acid that is helpful for neurological development and is also involved in regulating the water and mineral levels in the blood. B vitamins. B vitamins are important for allowing your body to convert the foods you eat into energy. Ginkgo biloba. Some energy drinks contain ginkgo biloba, an herb that may be beneficial for memory and blood circulation. But be careful; it may be dangerous when combined with antidepressants, blood thinners, ibuprofen, and some other medications. L-carnitine. L-carnitine helps your body turn fat into energy. 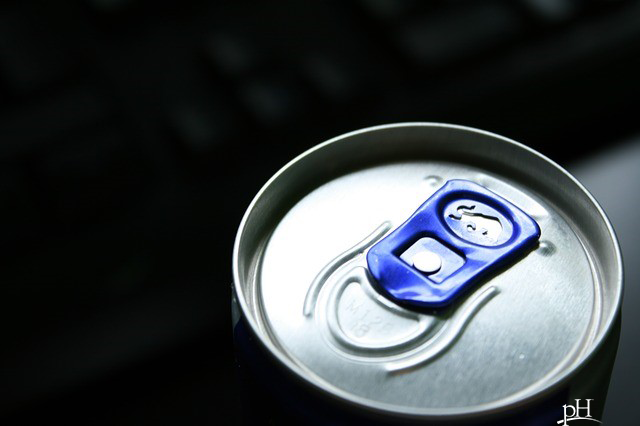 What are the potential dangers of drinking energy drinks? Unregulated and unknown caffeine content. Some energy drinks inaccurately list the amount of caffeine in a serving, while others don’t bother to list the caffeine at all. Excess caffeine can cause jitteriness and nervousness, irritability, increased heart rate and increased blood pressure, sleep disturbances, and fatigue once the effects wear off. Health risks in children and adolescents. There is some evidence that caffeine intake in children and adolescents may cause sleep problems, impairments in mineral absorption and bone health, elevated blood pressure, and increased alcohol use/dependence. Pre-teens and teens who play sports or play video games regularly are more likely to consume energy drinks. Negative effects on insulin. Consumption of excess energy drinks have been linked to increased insulin spikes and blood sugar regulation disruptions, which may affect your risk for developing diabetes. Dangerous behavior when combined with alcohol. Some research has shown that people who mixed alcohol and energy drinks were three times more likely to leave the bar drunk, and four times more likely to drive after leaving the bar. Energy drinks may also mask the sedating effects of alcohol. Therefore, the combined use of energy drinks and alcohol may lead to increased consumption from either one. This consequently raises the risk of adverse reactions from having too much. Be proactive and get to the root cause! If you are turning to energy drinks because you’re constantly tired and dragging through your day, you may benefit from nutrition testing to see if you are deficient in any vitamins, minerals, amino acids or other important nutrients. Also, after consulting with one of our doctors, depending on your symptoms, they may recommend testing your adrenal function, thyroid or hormones (among other things). We focus on getting to the root cause of your symptoms so you can eliminate the issue, instead of masking it with caffeine.